It’s been a solid 10+ years since I’ve wandered the cobblestone, pub filled streets of Munich. So much has changed yet so much has remained the same. 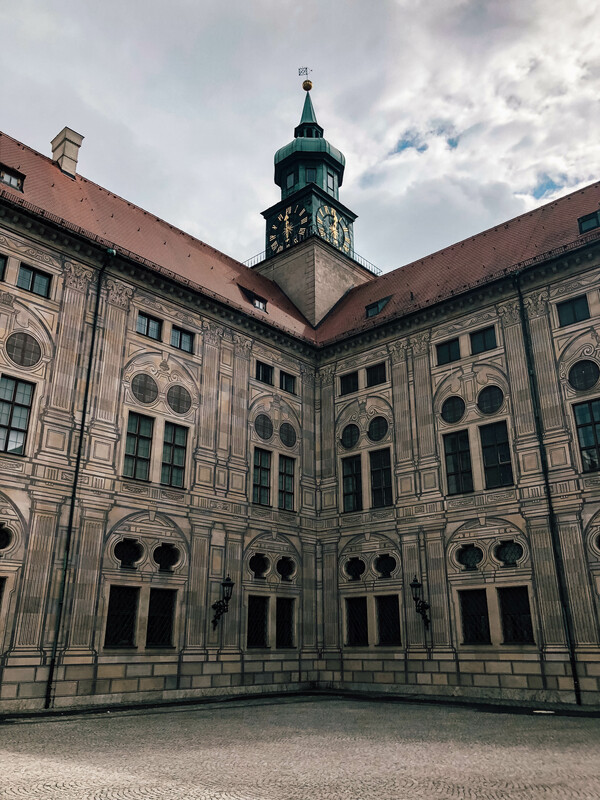 The history of this city is captivating but what has drawn me back is how unexpectedly cool it is – and yes there is more to do here than just Oktoberfest. Add in the fact that I can walk all over, drink all the beers and eat all the pringles I want and well those are just added bonuses. But this city is a great place to head to for three days, anything more feels unnecessary. 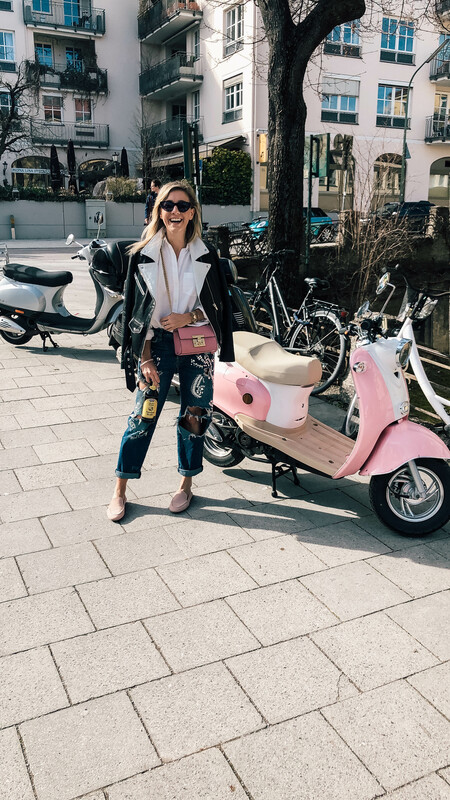 I’ve rounded up where to stay, eat/drink and of course what to do. 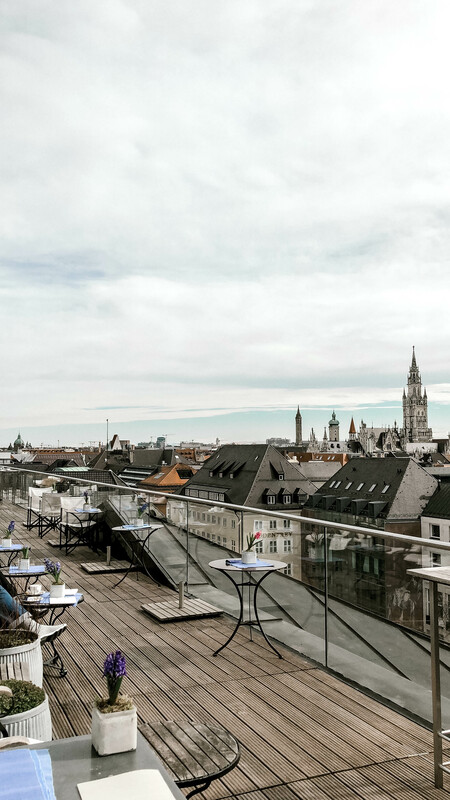 There are a limited number of options to stay at in Munich, especially in the luxury market. 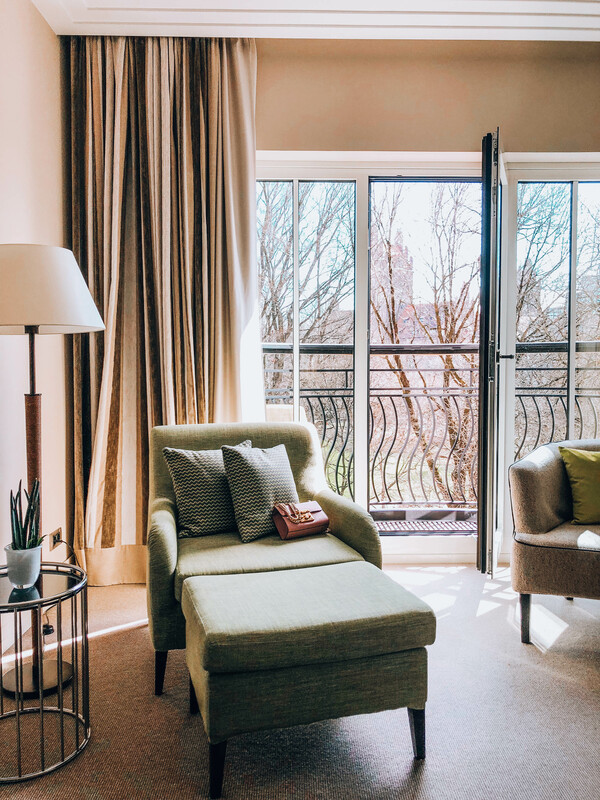 Luckily, there is The Charles Hotel – a Rocco Forte property and as I have a special place in my heart for Rocco Forte properties, I’ve stayed at a number of them over the years including the newly renovated Brown’s in London’s Mayfair district this was my number 1 choice in Munich. 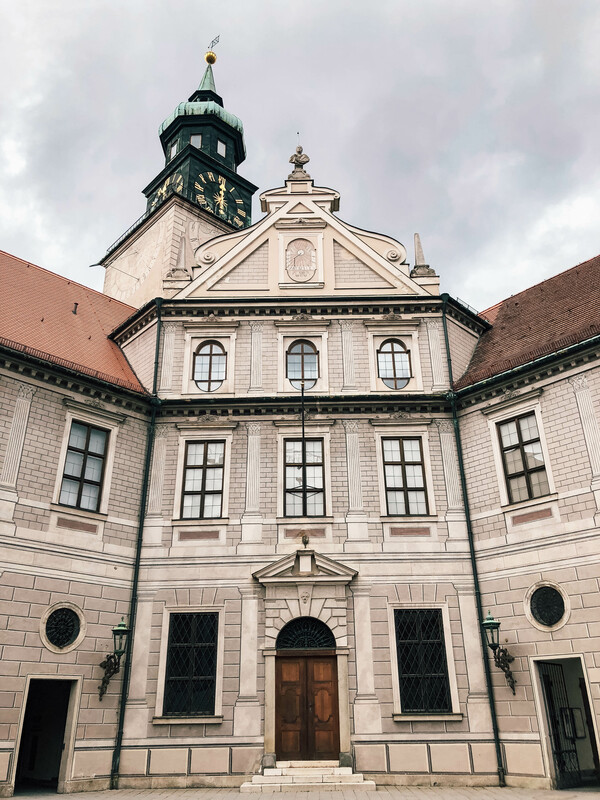 The Charles is conveniently located in the heart of Munich within the Lenbachgärten quarter and close to the historic Königsplatz, making it especially easy to get to anywhere you want to head. 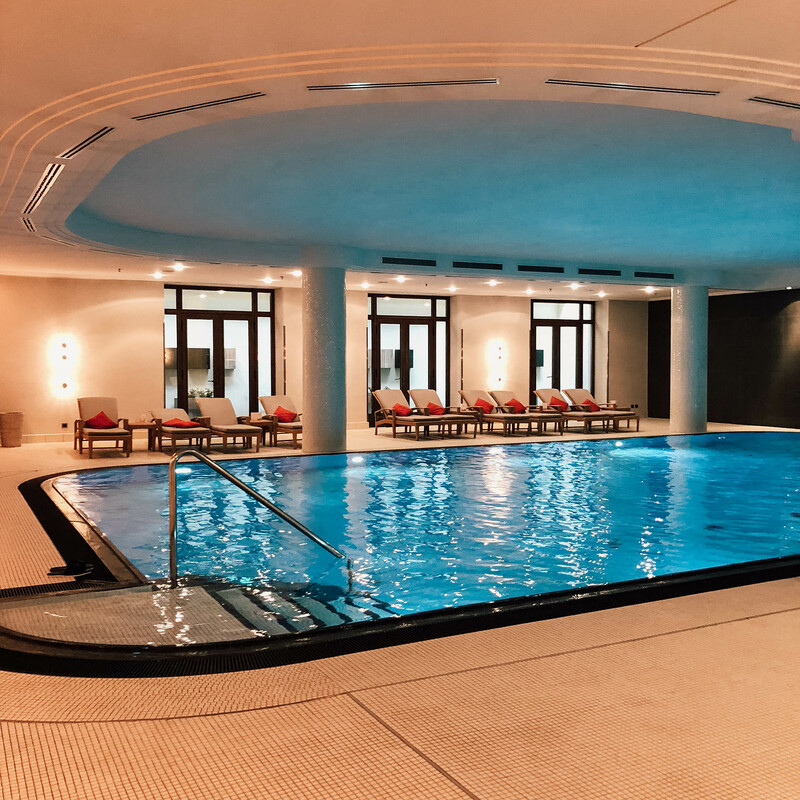 Aside from the location, a great bar and chic rooms, the Charles also has an unbelievable spa complete with a huge indoor pool. If you have the opportunity (or rather can afford it!) 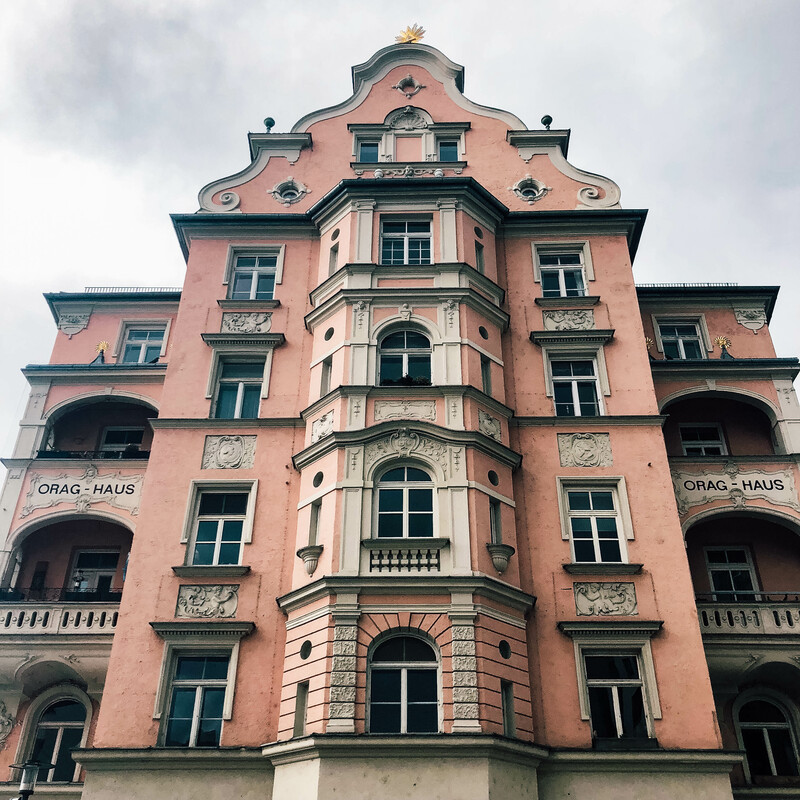 we enjoyed The Charles’ stunning Royal Monforte Suite one evening, Which, yes, it does come complete with a sprawling terrace overlooking the Lenbachgärten quarter with unbeatable views of Munich. And how amazing is it that I could also do my boxing workout too in the very chic gym on site at The Charles? I live for hotels that get my workout vibes! 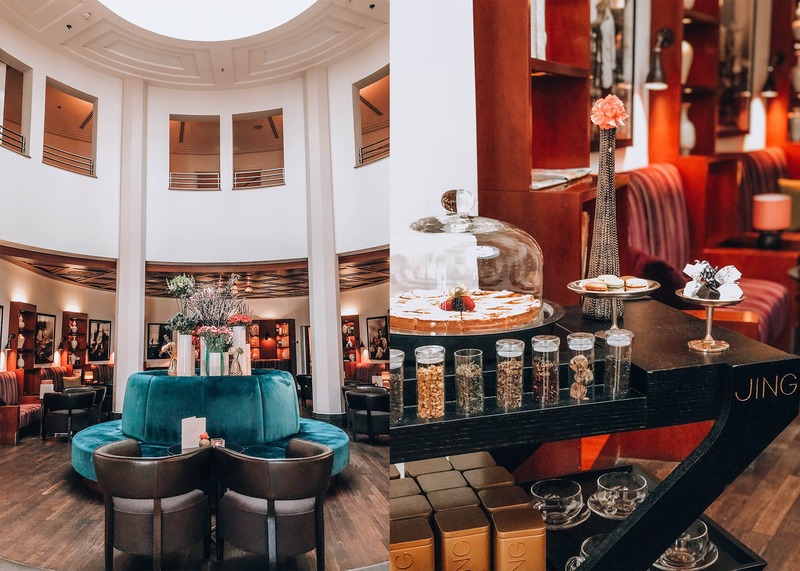 When you think of Munich, or rather Germany as a whole, your mind doesn’t exactly go directly to “incredible culinary scene” but contrary to belief Germany boasts more than just pretzels , beer, bratwurst and schnitzel. 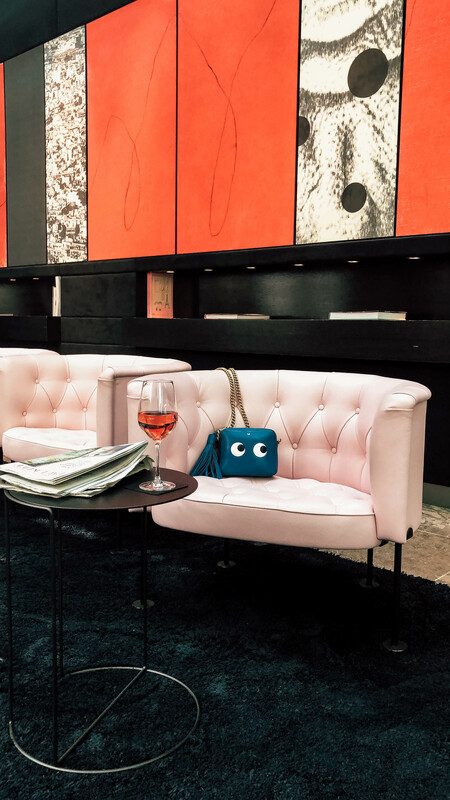 Dinner at Sophia’s is a must, especially if you’re staying at The Charles Hotel. 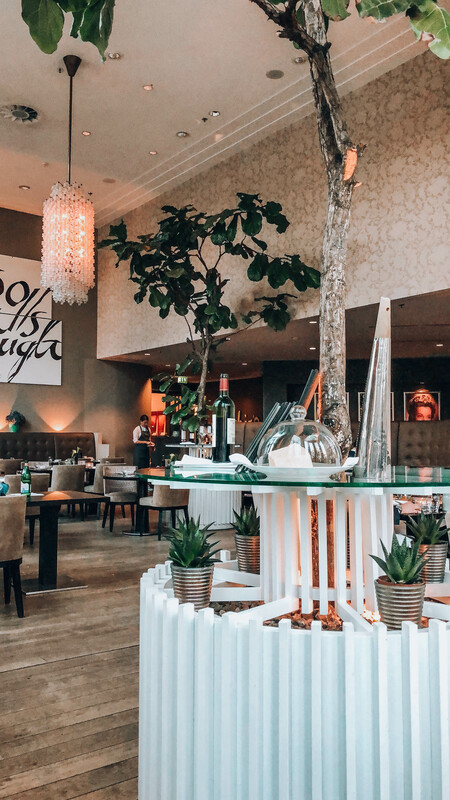 The new botanical bistronomy concept is all about gastronomic excellence and refined food. I am a foodie and was blown away with the quality and creativeness of the menu. This has been Plus the hotel lobby bar is actually AMAZING. Ristorante Albarone Monaco whose Mediterranean food is heavenly and a very nice break from the heavy foods that one typically indulges in while in Germany. They also get bonus points for being open late-night and having enough seating for our large group of chatty gals! 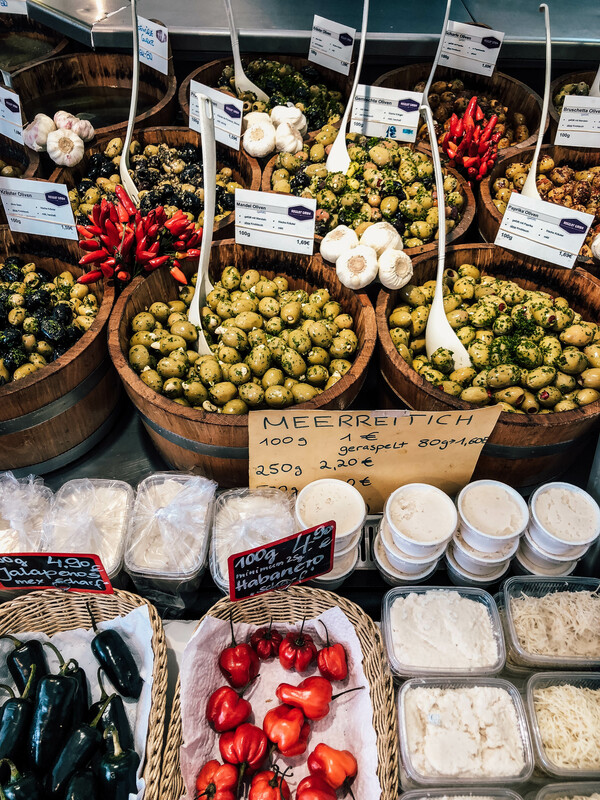 If you’re a vegetarian visiting Germany is going to be pretty difficult but don’t fret they actually have a number of amazing spots to try out. Though I will say I highly recommend Prinz Myshkin. When in Germany you absolutely have to get four things, yes they are mentioned above but you must indulge. Pretzels? You can find a good Bavarian pretzel in just about any bakery or biergarten but for an unbeatable experience of doughy glory (covered in salt no less) head to Biergarten Viktualienmarkt. Just trust me on this. Beer? Literally go anywhere. 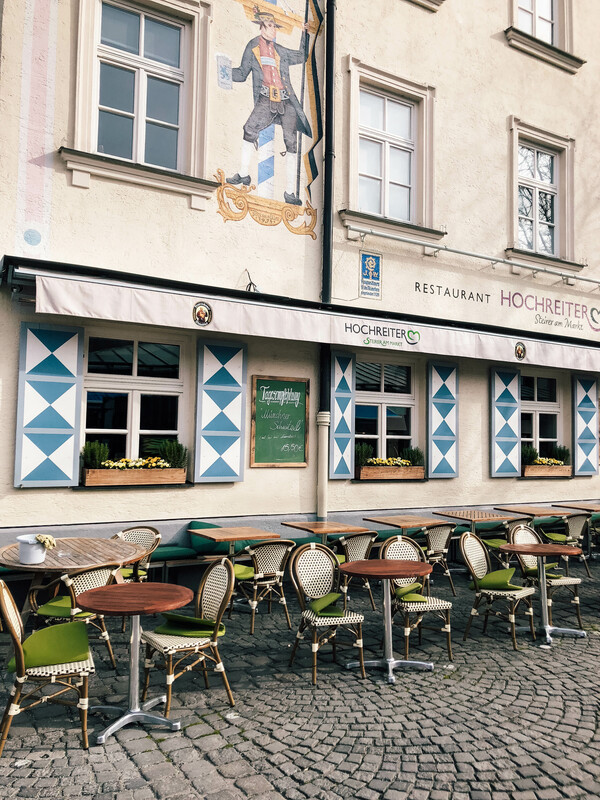 Munich features six major breweries (Augustiner, Hacker-Pschorr, Löwenbräu, Hofbräu, Spaten and Paulaner) and numerous microbreweries. Basically you can’t go wrong with any of them and just enjoy drinking your way through the whole city. Schnitzel? Wirtshaus Maximilian is fantastic and was definitely my favorite of the traditional German restaurants. The food is delicious plus they have 35 German beers to offer up and the menu has their own take on traditional sausages, potato pancakes, currywurst and pretzels. Zwetschgendatschi? Don’t know what this is? It’s a pretty simple German afternoon ritual or Kaffee und Kuchen (aka: coffee and cake) Why we don’t have this implemented in the states yet is beyond me. Zwetschgendatschi straight up is a Bavarian specialty that is quite sadly only available in the summertime is comprised of a ripe regional plum baked on a yeast dough crust and sprinkled with streusel, topped nonetheless with fresh whipped cream! 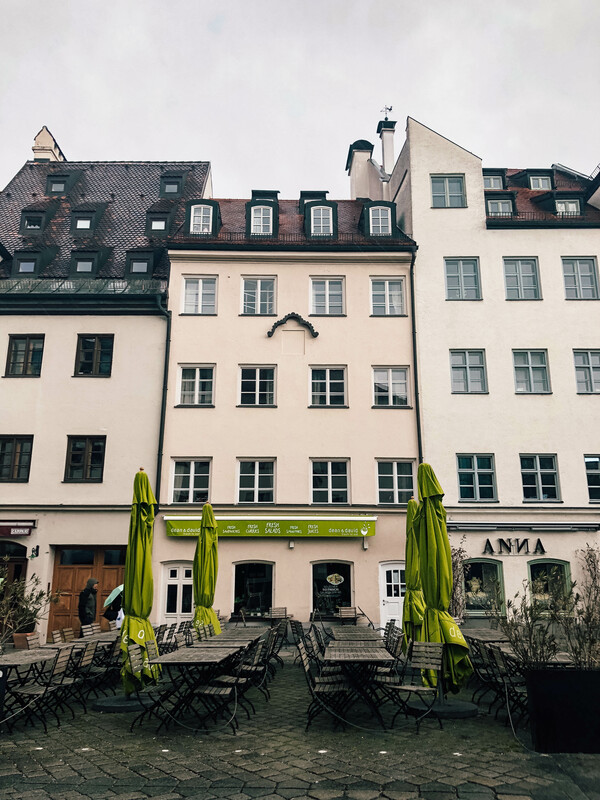 Pop into Café im Hinterhof for a go-to spot. 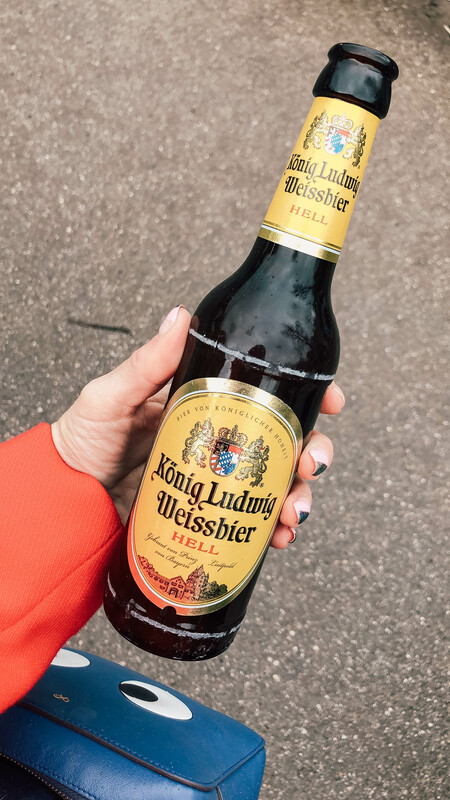 Grab a beer, some snacks and wander through the Englischer Gartena massive Central Park like area complete with creeks, locals spread out on the lawn with picnics and of course since you’re in Germany a great beirgarten or two actually in this case. We literally did this for hours, if it is a beautiful day there is nothing that can beat it. 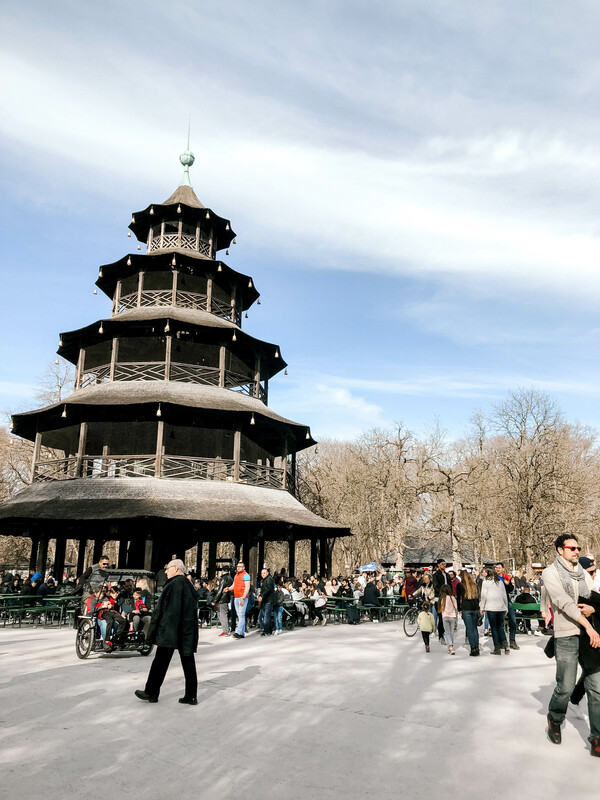 Wandering through the park is a great way to experience the local culture too. We stopped off for a pretzel and a bier at 25-meter-high Chinese tower where locals and tourists alike were enjoying a live barvarian music sesh. 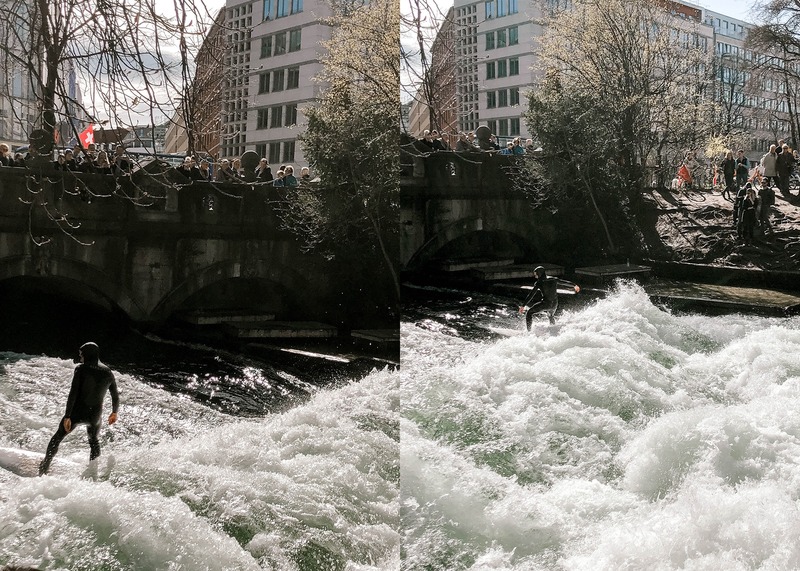 Check out the river surfers who are in the Eisbach, a small channel in the Isar River. Sound crazy? It is but also pretty cool too. You can’t miss these guys who are wearing their surf gear with 6’ foot plus boards surfing the waves of the river in the middle of Munich. There were crowds but it was a cool thing to walk by, check out and snap of picture of. 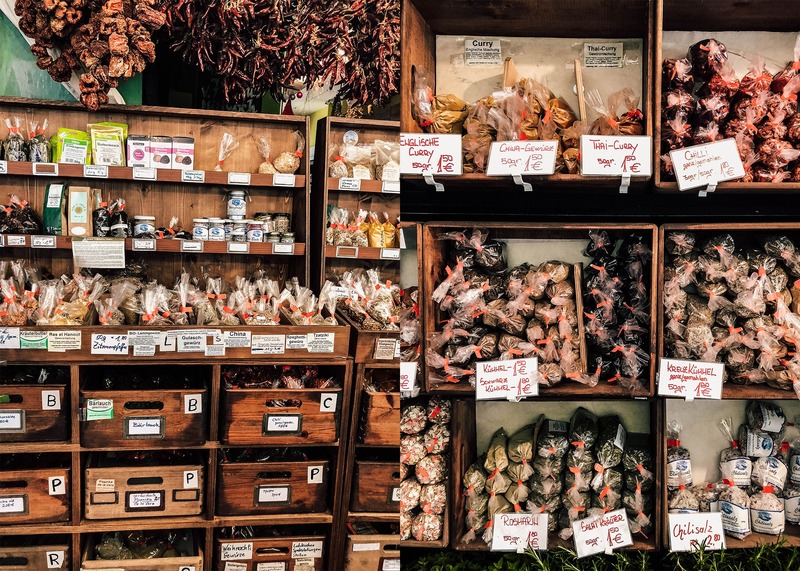 One of my absolute favorite things about Munich and Germany in general are their markets. 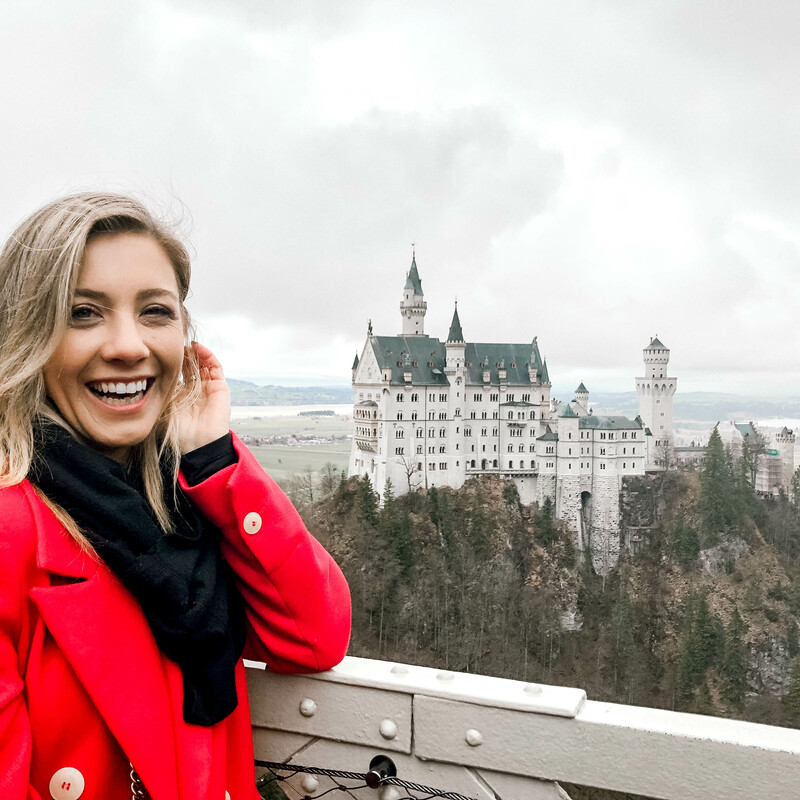 Yes they’ve come to be known for their festive Christmas Markets but even when you’re visiting outside of the holiday season you can still experience what this country has come to cherish as theirs. 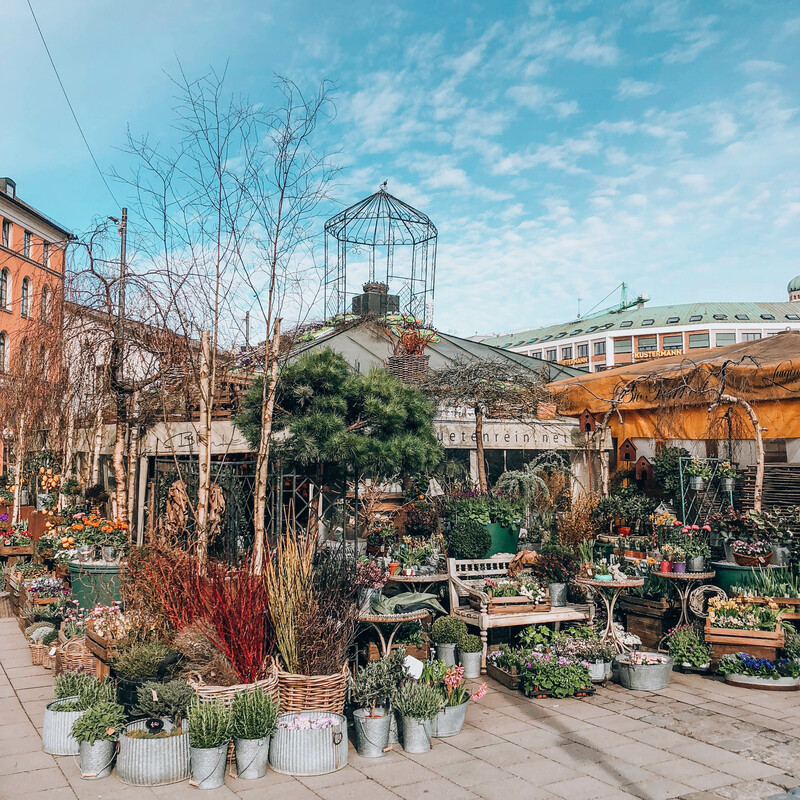 The Victuals Market, in the Old Town, was one of those markets that we wandered around twice, eating, drinking and shopping. I came home with a beautiful straw farmers market bag, homemade food for my family’s gifts and a few too many other little trinkets. 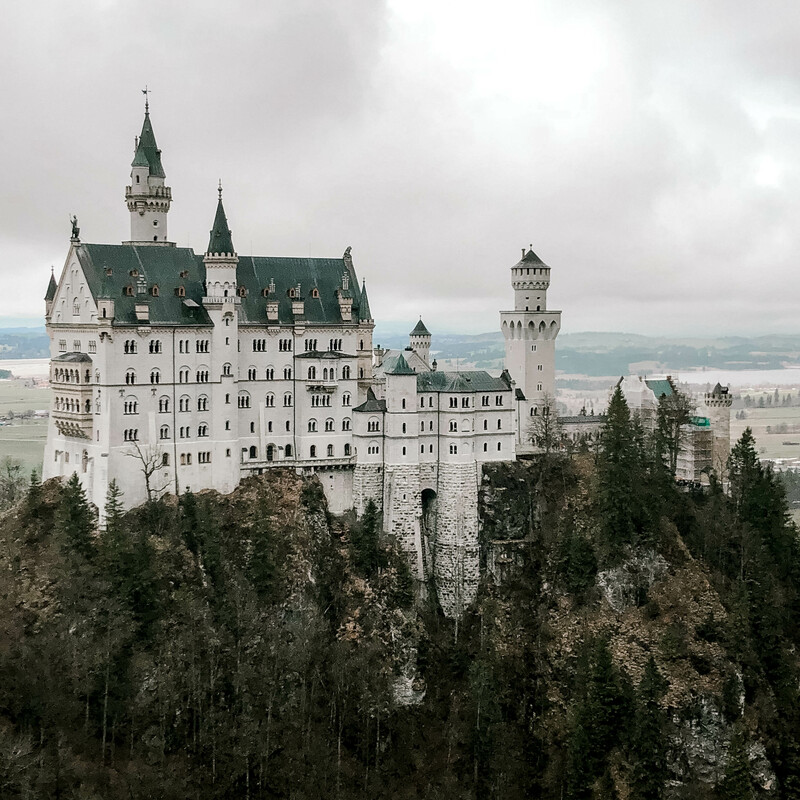 Do a day trip to Neuschwanstein Castle, for me this was worth taking a day trip out of Munich. My 5-year old princess obsessed self was fulfilled completely with this visit. Do note it is chaotic to say the least. There are hoards and hoards of tourists trying to cram themselves onto the bridge to get “the shot” and honestly it almost kept me from getting mine. 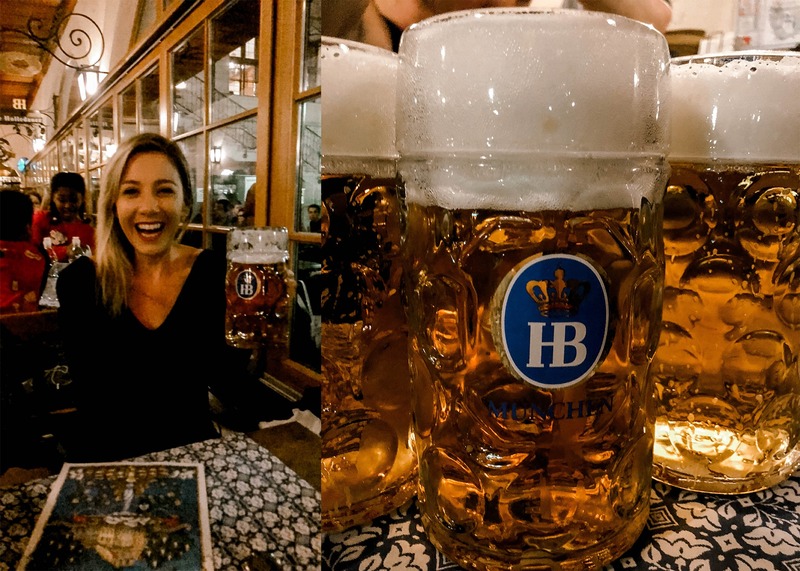 You need to do the touristy attractions for sure so make sure you hit up places like the Hofbräuhaus House in the city center. It’s a zoo but you’ll regret it if you don’t go and experience the insanity for yourself. Grab a seat at one of the huge tables, make some friends, drink a pint, eat a pretzel and enjoy the Bavarian music. 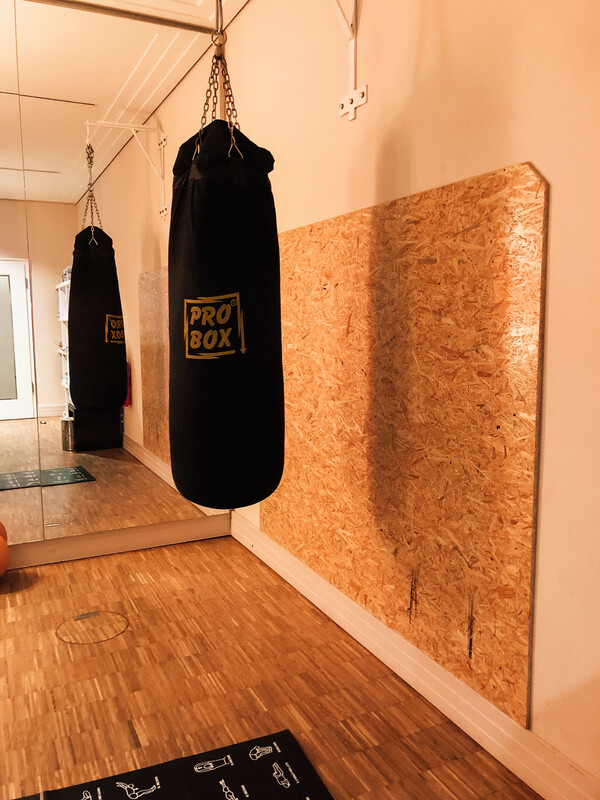 Head to the heart of Munich’s Old Town and visit St. Peter’s Churchand get your workout in. It’s a spectacular view once you climb the 300+ stairs and definitely worth it. 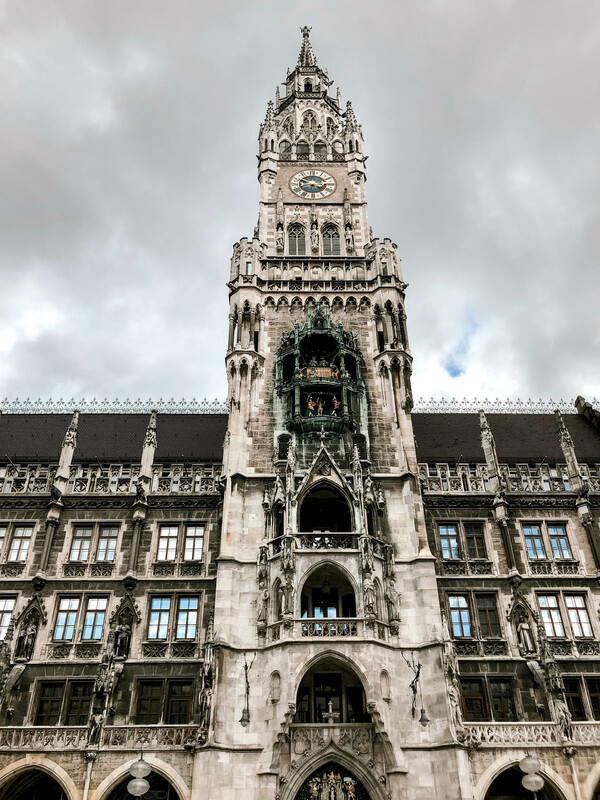 Definitely arrive by 11 AM or so and catch the Glockenspiel clock chiming. While not the most upbeat of things to do while on vacation I highly recommend paying a visit to Dachau, the Nazi concentration camp that has now been turned into a memorial. This will undoubtedly be one of the most difficult experiences and both emotionally and mentally draining but I feel that paying respect to the souls lost during these horrific acts is important. 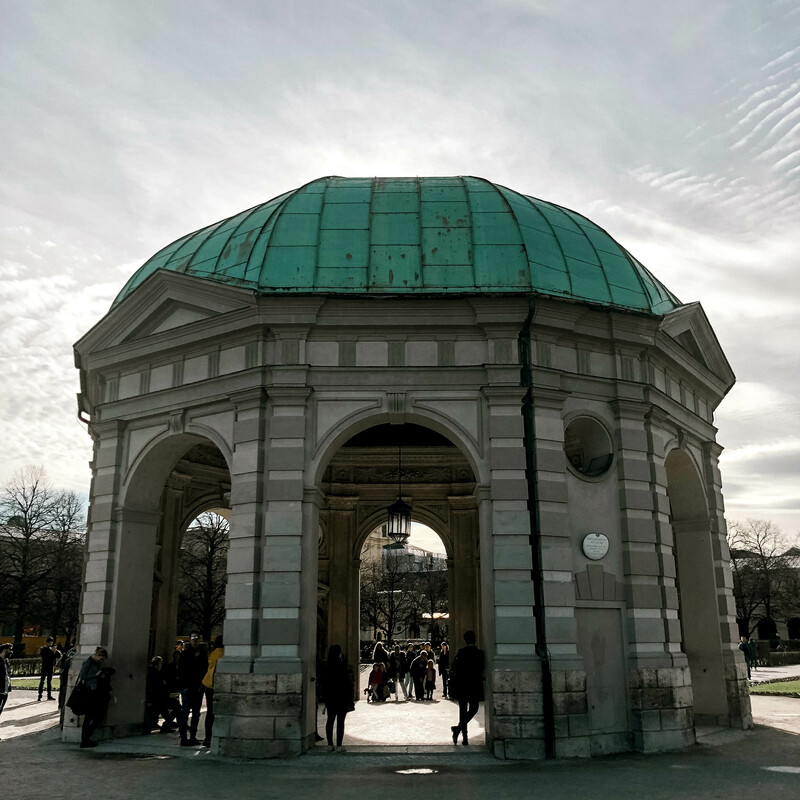 Take a break from your Instagram and take an hour to walk the grounds here. I love Munich!!! 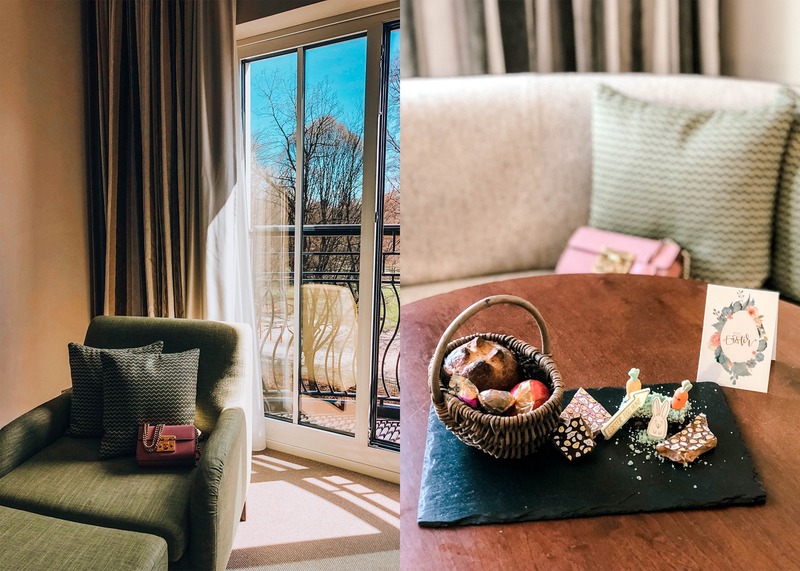 Your trip looked incredible and when I go back this year I am definitely staying at The Charles – we’ve stayed at a number of their properties in the past in Italy and love them – plsu they’re family friendly which is so good for us with two little ones! The Charles!! I stayed there last year! Also did not know about this river surfing, how cool!! Goodness, now I really want to visit Munich. Can we talk about the pretzel that was WAY bigger than you?! Ummm gimme gimme. And the architecture is divine! Looks like so much fun. What an amazing trip and it definitely makes me want to book out a trip asap! Germany was never really on my short list of places to visit, but it should be. Look at those pretzels! Though seeing the concentration camp would be very hard for me. This looks absolutely amazing. I can’t wait to travel more! 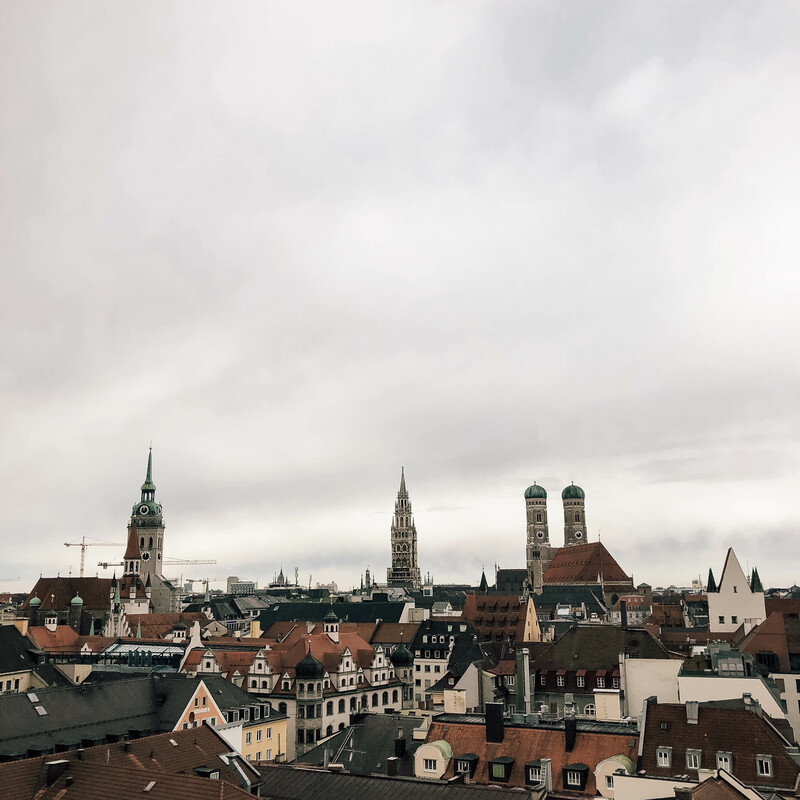 Munich is one of my favorite cities! How awesome you were able to go! Looks like you had fun! What a fun experience. I love Germany and hope to go back and visit one day again. Best 72 hours ever!!! 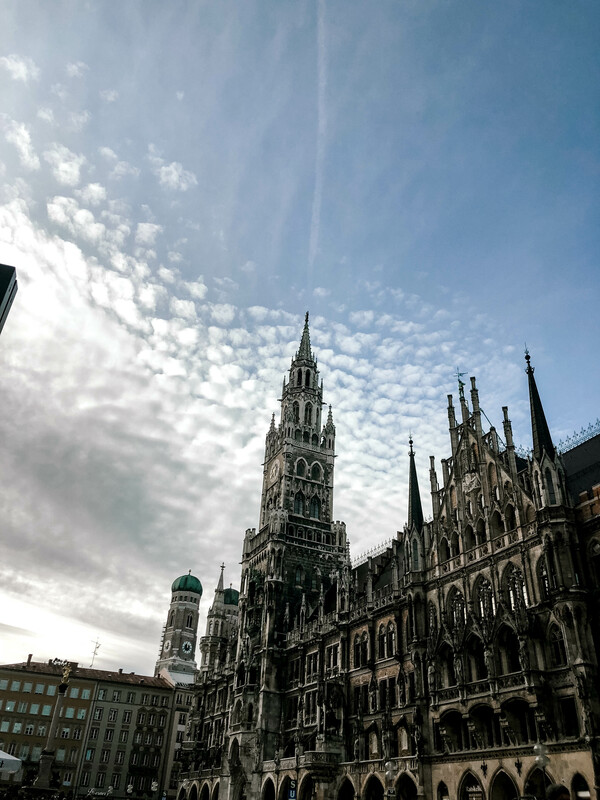 I’ve never been to Munich but you’re photos are amazing!!! Need to go visit some time soon!!! Never been in Munich but Gosh, it looks so beautiful! 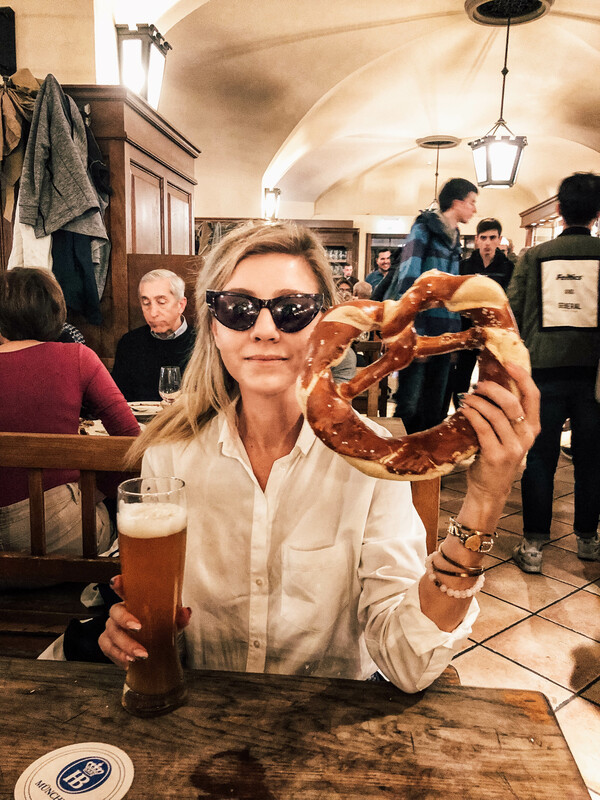 The architecture, the marketplace, the hotels, the restaurant, the beer, the giant pretzel! Definitely in the bucket list! Thanks for sharing! So much fun in just 72 hours! Loved hearing all about the places you went to and seeing the pretty photos too! Pretzels and beer! Sign me up! Looks like you had so much fun!